Last week, I received a flurry of links on Facebook about a friend’s hawker stall being reviewed by the one and only KF Seetoh. His write-up was published on Yahoo! Singapore. I was thrilled and also a tad guilty for not having patronised his store since it opened in December last year. So I am making up for it by sharing this wonderful gem with you. I finally visited his stall over the weekend and I declare Seetoh’s write-up accurate to a T.
So who is this ‘Appam Prince’? A tall and strapping gutsy spirit by the name of Suren with appam (and thosai) in his blood. He grew up helping his dear mother whose little stall (now 16-years old and going strong) in Ghim Moh (it’s called Heavens too) is famous for its appam & thosai. Hungrygowhere profiled Suren’s mum in a 2010 interview, which you can read here, (no point repeating the backstory to you). When Suren was not in school, he was at his mum’s stall, helping her out. Even in his poly days, Suren would sacrifice his free time to assist his mum. You could say it was a perfect master apprenticeship in appam & thosai making. Over the past 2-3 years, he has also been working full-time at the Ghim Moh stall after he quit his job to help his mum. Prior to opening his own Heavens branch at Bedok Market Place, Suren has always expressed a desire to enter the F&B business, and in particular, allow his mum’s appam/thosai legacy to live on beyond her generation. And viola, the perfect opportunity came when saw that Bedok Market Place was looking for tenants. Myself, being an East-dweller for my entire life, I celebrate this new addition to the Simpang Bedok area. 🙂 He currently operates this stall with his fiance; the lovely and very beautiful Jessie. Although I am not sure about the origin of the name Heavens (note to self- ask Suren! ), I am guessing it is in reference to how divine his appams are. Appams, are actually a sort of pancakes made from fermented rice flour. And at Heavens, Suren makes it using the exact same recipe his mum uses. What’s so special is that he grinds raw rice, to get the flour, and then ferments it. If you’re curious and want to make it at home, you can try this recipe. As of now, I don’t think I can get Suren to share his secret recipe (but if you really want it, let me know and I’ll try to ask). Aside from appams, he makes his own putu mayam (string hoppers) from scratch. Oooo these beautiful scriggly white strands that resemble our Chinese beehoon are such a delight to eat. And you must eat it by hand for maximum pleasure. Yes, food does taste better when eaten by hand. I prefer to have my putu mayam with just the orange sugar. Not a big fan of the shredded coconut & putu mayam combination. Suren makes some really fragrant putu mayam. Boy you should see how fast he presses the dough through the wooden putu mayam ‘ricer’. That dude has some serious upper arm strength. It takes mere seconds for him to churn out three batches of putu mayam! The fact that he makes each batch of dough by hand a la minute is enough to give him several pats on his back. Lazy people will do it ahead of time or just buy pre-made dough. But not Suren! Everyday, he makes a limited amount of appam batter at 7am in the morning before the stall opens. And one bite of these, was enough for me to understand why people flock to Ghim Moh for his mum’s appam. These rice Indian pancakes are really fluffy in the centre and crisp at the sides – which is what a good appam should be. Give me these appams over McDonald’s hotcakes any day! These are healthier and my goodnesss, they taste so freaking good. I tried all 4 – plain, egg, butter & the princess appam (combination of egg, and cheese and butter). My favourite is the butter appam. I’m a simple girl and I love my butter. Add a sprinkle of their orange sugar on top and you’re all set. Suren serves chicken and mutton curry as well. The egg appam, when dredged through his curry, is to die-for. I mopped it up clean. This is the princess appam. Order this if you are really hungry! If you like the salty/sweet combi, remember to add some orange sugar on top. I was too full to stuff a thosai down my appam/putu mayam filled tummy so promised him I’ll come back another day. I’ve heard that the Royal Thosai (combination of cheese, onion, chilli, potato and egg in one thosai) is a must-try. It’s what his mum (the Appam Queen) is famous for at her Ghim Moh stall. This is their humble store-front. It’s beside the Vietnamese stall which is quite hard to miss. I’ve asked Suren to teach me how to make putu mayam. He has agreed, so let’s see how I fare. Maybe I’ll be able to make some for my family at home soon. Meanwhile, I want everyone to know about Heavens because I think the Appam Prince (Suren) has got a good thing going. You know I like to share good food. This is a good food place you should try at least once, if not more. And while you’re at it, ask the Prince about the heritage of appam. He’ll be more than happy to share with you. I think my life is kinda delicious. No, make that scrumptious, or better yet – fingerlickin’ good! My job revolves around food, my interests are culinary and ever so appetising, and sometimes, I dream about food! Even in ministry, I’m all about food, especially with our cafe Eden. And of course, this blog makes sure I never forget what I’ve eaten and the recipes I’ve tried. Then there are times where I get to taste new things at new places. Perhaps I should add another 2 words to my blog name: she bakes and cooks and she eats ALOT. haha. So you know that I eat and I enjoy my food and will always be here to introduce to you only the yummiest things. Today I have some place new to talk about. Vintage India at Dempsey Hill. They invited me for lunch recently and I have to say that the challenge was more to do with getting there. It’s just too bad I don’t drive. So I had to take a cab up. Most of you might have been to Dempsey at least one or have heard about the enclave. The restaurants lean more towards fine dining and are perfect for dates. Vintage India is no different. 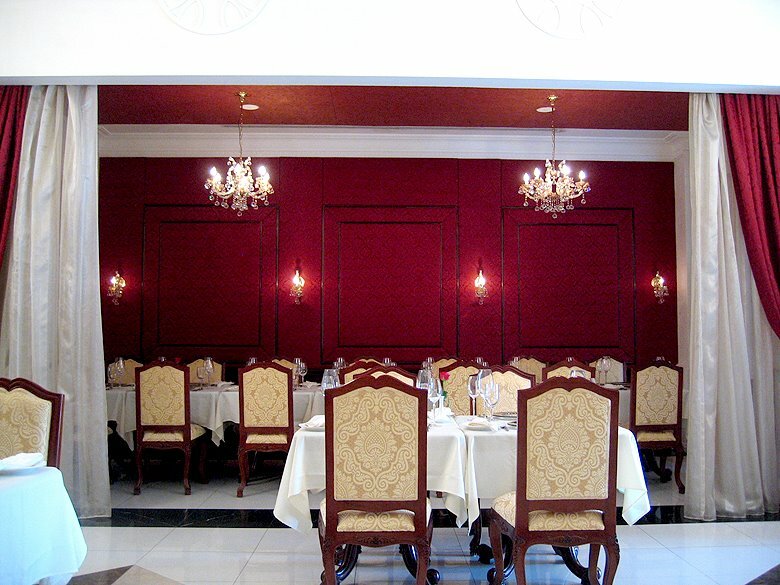 The ambience is impeccable and it’s not difficult to feel like royalty when you’re dining there. You’ll know what I mean when you see the interior shots I took. But first, let’s talk about the food shall we? 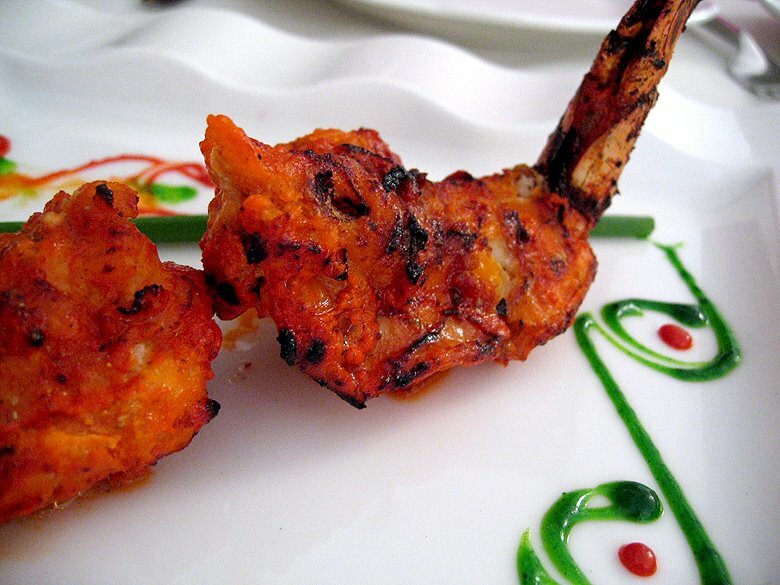 I tried two starters that were cooked in the tandoor, the Samarkand prawns and the Adraki Panje. The prawns were really big. Why, that’s because they used jumbo prawns and stuffed it with minced crab meat and nuts. Very satisfying I’d say. The stuffing went well with the crustacean. Something different for once, but a bit surprising too. I never thought prawns could taste as good this way. The highlight was the spices. 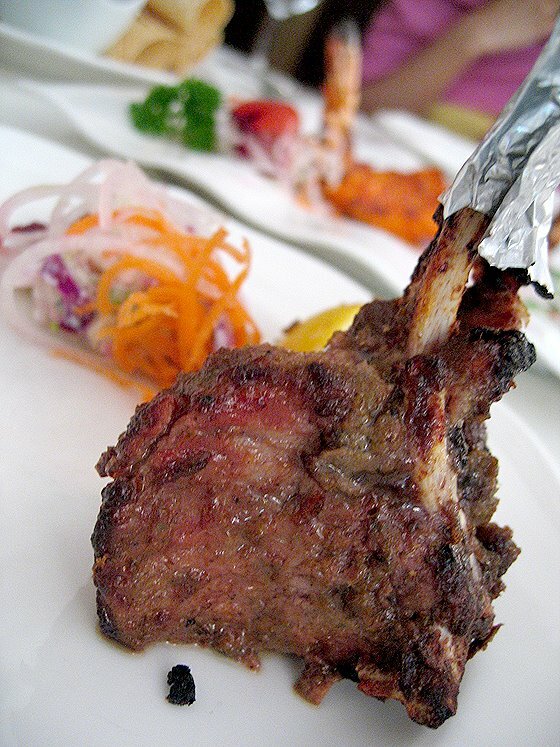 The oh-so-tender chops were marinated in indian spices and herbs, which added to the smoky and delectable flavour. This is a clear favourite. 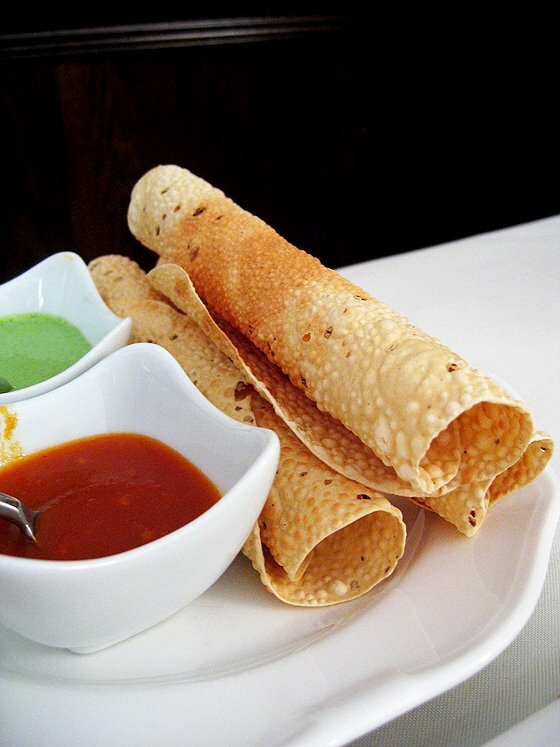 Vegetarians do not fret because Vintage India has their non-meat specials which taste just as good. And I do mean that – even I was equally surprised. Their Malai Broccoli was lovely. I’ve never ever eaten broccoli this way. The chef had marinated the florets in fresh cream, and white pepper and roasted it in the tandoor. You’d expect a dried-out broccoli but no, that didn’t happen, instead, we were presented with a tender, warm yet slightly juicy broccoli which had the right amount of spice. Now if only I had a tandoor at home too! With such delish starters, I knew the main courses were definitely going to be good and I’m glad I was right. There were two gravy dishes – the Murg Makhani and Fish Malabar curry. Murg Makhani’s actually butter chicken. 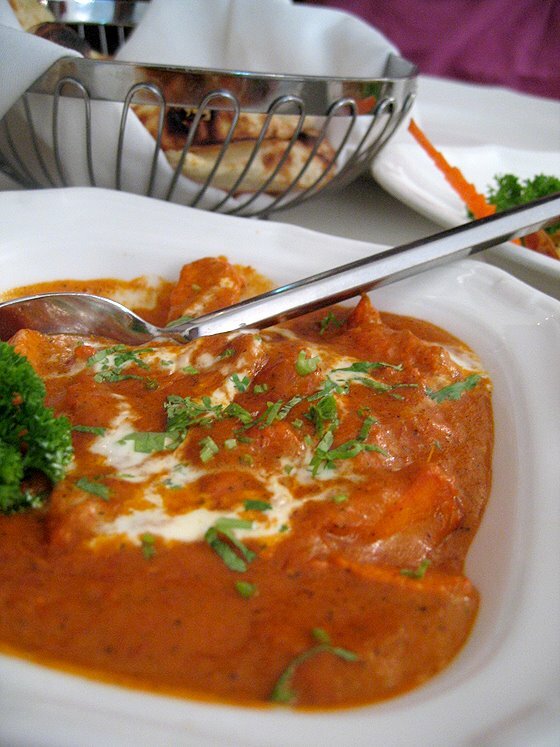 Prepared with a butter based gravy, the Murg Makhani was a sure winner. Buttery is good and goes well with me. Butter always adds a tasty edge to any dish. Loved the gravy and was glad I had garlic naan to mop it up. 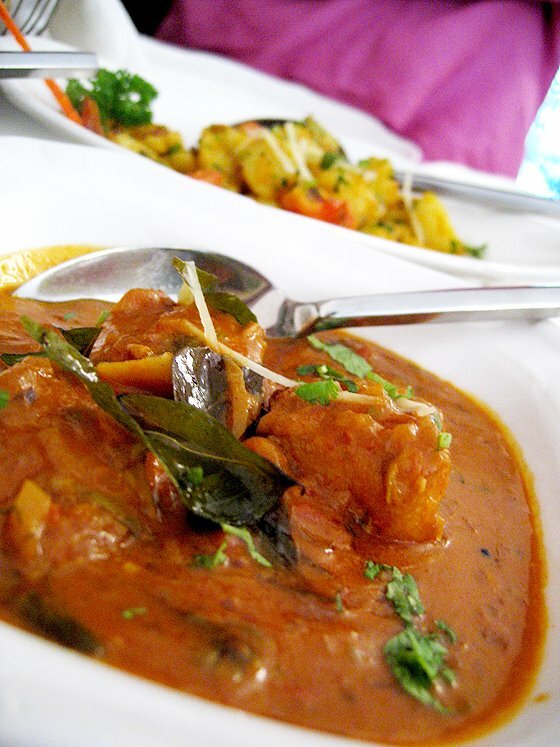 The Fish malabar curry is prepared with coconut milk and spiced with a variety of spices. The fish was really fresh and did not have that fishy taste which I so dislike. I’m not sure if I’m just easy to please or if the food was really good. Perhaps I’ll just stick to the latter because I have eaten some very bad fish curry and hated it. I am just happy to report that Vintage India sure knows how to cook a good fish curry. 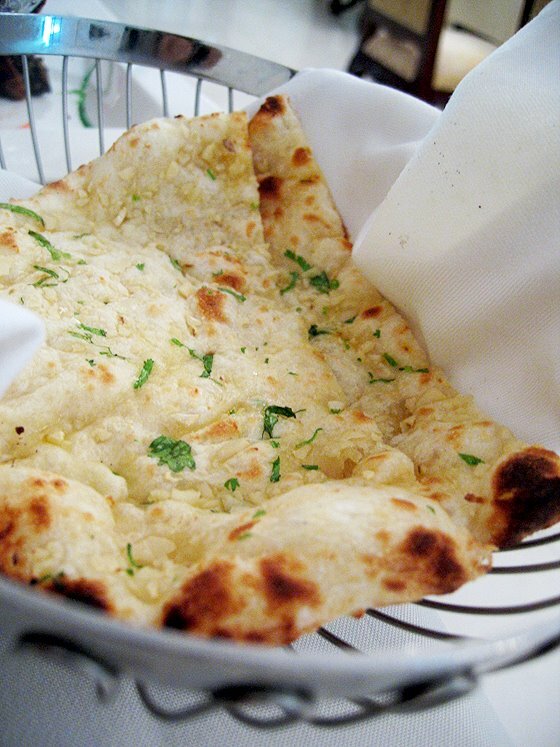 And you can never really go wrong with garlic naan. Garlic is one of my favourite aromatics and this naan was super. For dessert, there was Malai Kesar Pista Kulfi (saffron flavoured Indian ice cream made with pistachios and milk) and Ras Malai (cottage cheese dumplings dipped in milk and garnished with dry fruits. 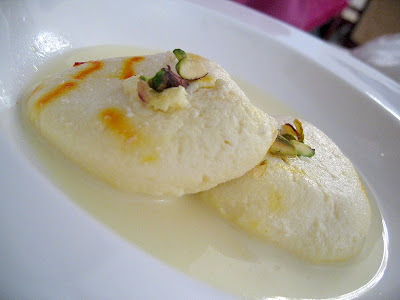 The Ras Malai had an interesting texture. It tasted like sweet sponge and was quite light. 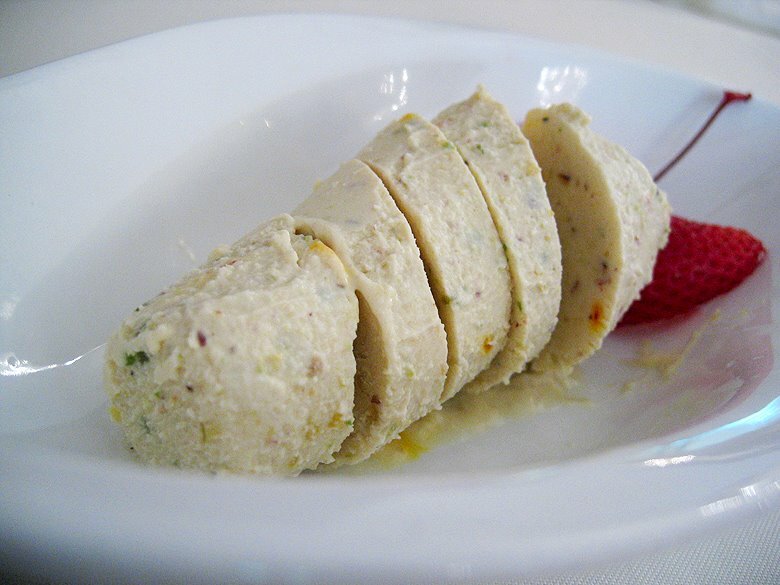 The kulfi was good too – I could taste the saffron and other spices. 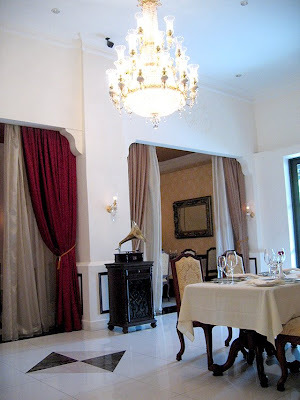 Fit for a Raja don’t you think? Vintage India is a great place to dine at especially if you’re looking for good Indian food with a grand ambience. It also helps to know that their chefs are all from India and each one specialises in certain dishes to ensure quality. Dempsey hill sure is a classy food paradise and Vintage India just upped the hill’s cool factor with its exotic appeal.